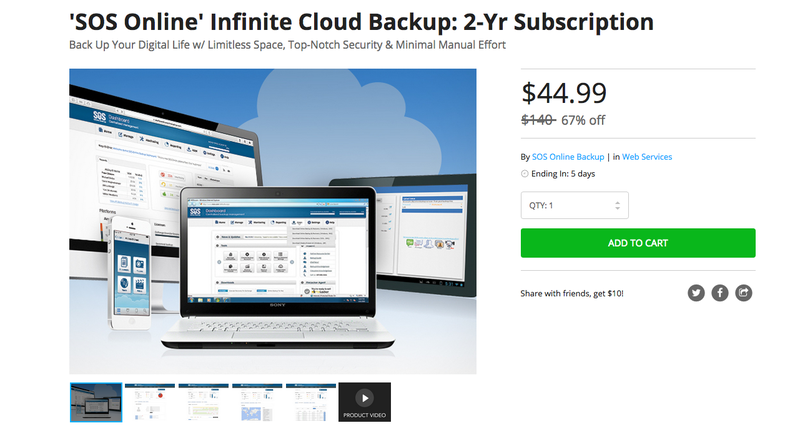 Today on the DL Deals Store, you can pick up a 2-year subscription to SOS Online Infinite Cloud Backup service for $45. SOS Online encrypts all your data with “UltraSafe,” which is SOS’s triple-layer privacy technology. Other features include an automatic upload feature of files that are in need of backup, 24/7 access to your data, the ability to back up print photos and home movies with Scan-to-Cloud, and a geo-locate and remote wipe feature for lost/stolen devices. For all of this, the price is set at $45 for a 2-year subscription.